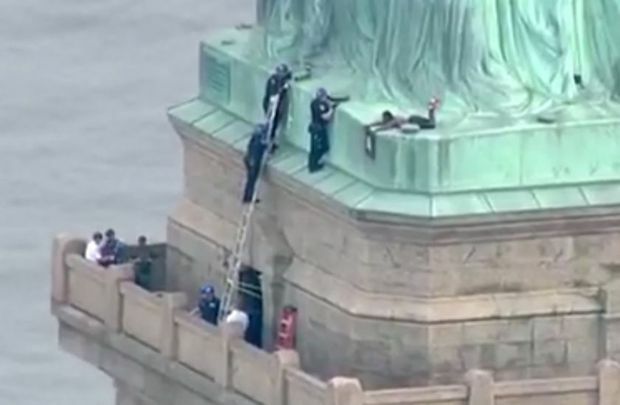 This still image taken from video Courtesy of PIX11 News in New York, shows police talking to a woman who climbed to the base of the Statue of Liberty in New York, on July 4, 2018. A woman who scaled the stone pedestal of the Statue of Liberty, the iconic tribute to freedom and democracy that graces New York Harbor, was snatched by police officers and lowered to safety on Wednesday after a three-hour standoff that led to the evacuation of the landmark on America’s Independence Day. Authorities could not confirm whether the woman was part of a group of protesters who earlier unfurled a banner that read “Abolish ICE” from the base of the statue in a protest against U.S. immigration policy. ICE refers to the Immigration and Customs Enforcement agency, whose recent treatment of families who have crossed illegally into the United States has become a source of discord. Television images showed two helmeted officers, outfitted in harnesses and ropes, slowly approaching the woman and grabbing her as she clung to the sloping side of the more than 91-metre-high statue near its upturned right foot. Minutes before, she had removed her pink athletic shoes and attempted unsuccessfully to scale Lady Liberty’s green-tarnished robes as the waters of the Hudson River swirled below. “She’s been taken into custody amicably, peacefully, without any injuries, or injuries to our officers, thank God. It’s all over now.” Sergeant David Somma, a spokesman for the National Park Service, told Reuters after the standoff ended. He said prosecutors would determine any charges filed against the woman. The incident forced the Park Service to evacuate Liberty Island on a sweltering holiday afternoon when typically thousands of tourists visit the historic statue, a symbol of American freedom that has stood in the harbour since 1886. A group called Rise and Resist said it had staged a “visual protest” at the statue, releasing photos of the “Abolish ICE” banner unfurled on the statue’s base. The group later released a statement on Twitter that said the protest did not include the climber. The statement did not say whether or not the climber was a member of their group. 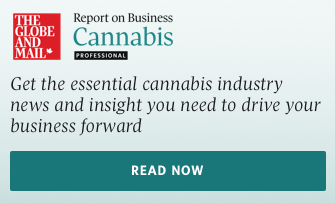 Representatives of the group did not immediately return an e-mail inquiry from Reuters. ICE is at the centre of the Trump administration’s shelved policy of separating some children from their parents when they cross illegally into the United States from Mexico, leading to calls to disband the agency. Standing 93 metres from the tip of its torch to the ground, the statue guards the mouth of New York Harbor between lower Manhattan and Jersey City, New Jersey. Wednesday’s standoff ended before nightfall, when two spectacular July 4 fireworks displays were scheduled to begin over New York’s East River and off Liberty State Park on the Hudson River. The Statue of Liberty serves as a dramatic backdrop for both shows.